Peninsula Advanced Trees is a wholesale nursery dedicated to growing the best quality trees at an affordable price. The nursery is situated on an expansive 10-acre site on the beautiful Mornington Peninsula, only 45 minutes from the city. Peninsula is well known for its ever-expanding range of advanced stock, which is supplied to councils, developers, civil landscape contractors, domestic landscapers and other wholesale nurseries throughout Victoria, New South Wales, ACT and South Australia. The company has an energetic and supportive team who are dedicated to producing quality advanced trees, and are proud to deliver great service along with a great product. With over 50 years of collective experience within the team, you can be assured of a knowledgeable partner for your planting project. 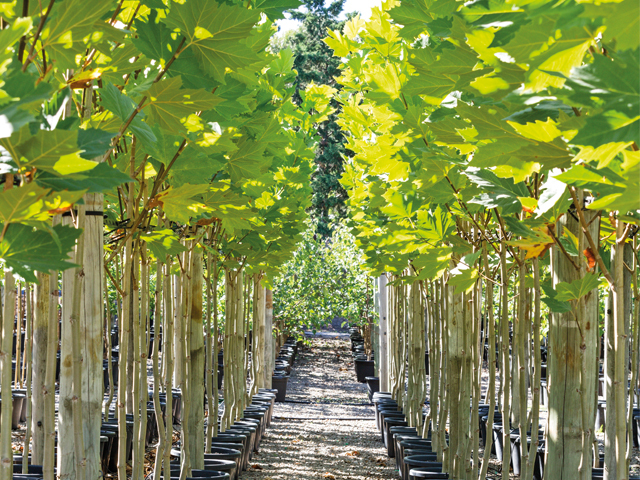 Peninsula Advanced Trees grow more than 30,000 trees per year in 33cm, 40cm, 50cm and 90L containers, including Australian natives, ornamentals, evergreens and hedging/screening. Australian native trees are grown in air pruning containers throughout the entire production cycle to ensure quality root systems are consistently produced. Peninsula Advanced Trees offers a daily delivery service Melbourne-wide and has the capacity to work with all plant logistics companies throughout Australia, to ensure trees are delivered with care and on time.